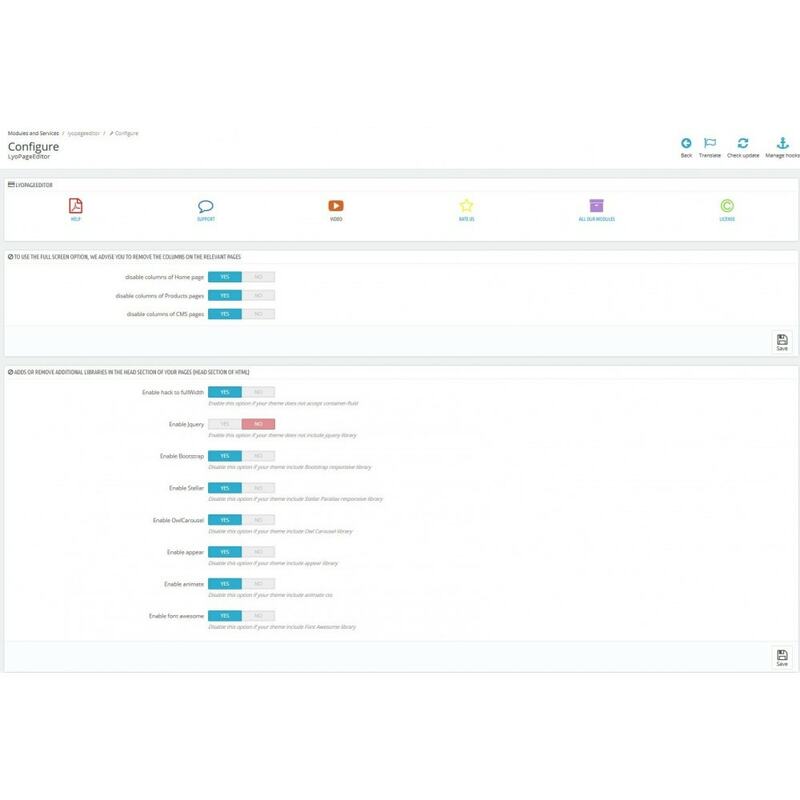 Use several tools to personalize your CMS pages, according to your company by itself and your company's sector. Take advantage of a professional qualified website without prerequisite information technology skills. Develop your company image and reinforce your customers' trust. Improve the imagery and the quality of your website in a minimum time. 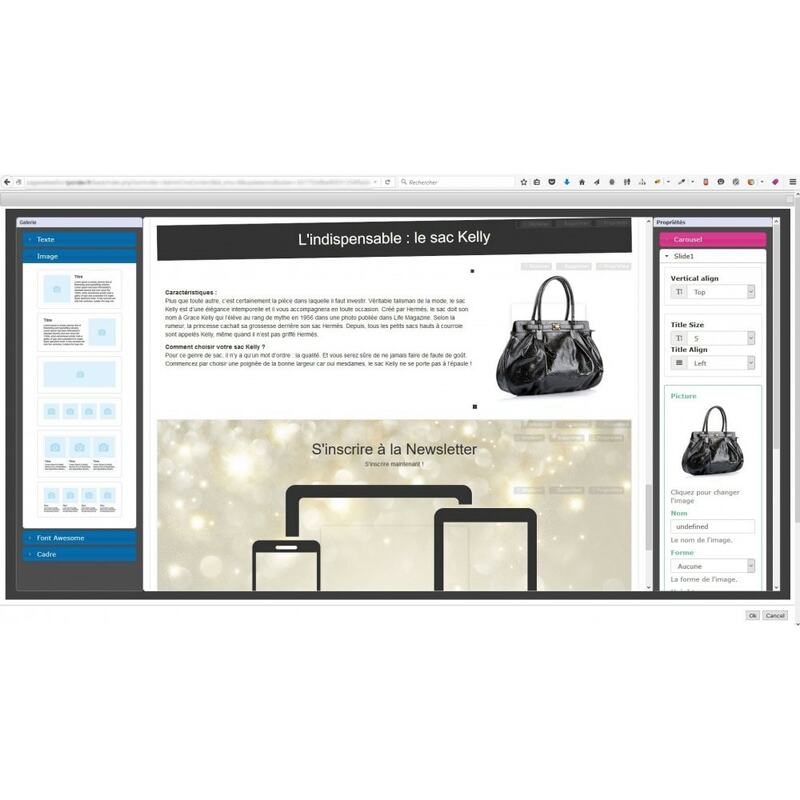 Optimize the performance of your CMS pages with continual adapted contents. Promote your company and products in an easy and efficient way. Increase the efficiency of your product information sheets to improve your selling process. Rapidly differenciate yourself thanks to your unique and customized website. Easily and quickly manage your CMS page contents. Benefit from the responsive design characteristic of the module which is compatible with all mobile devices. Use the last technologies regarding the web design. 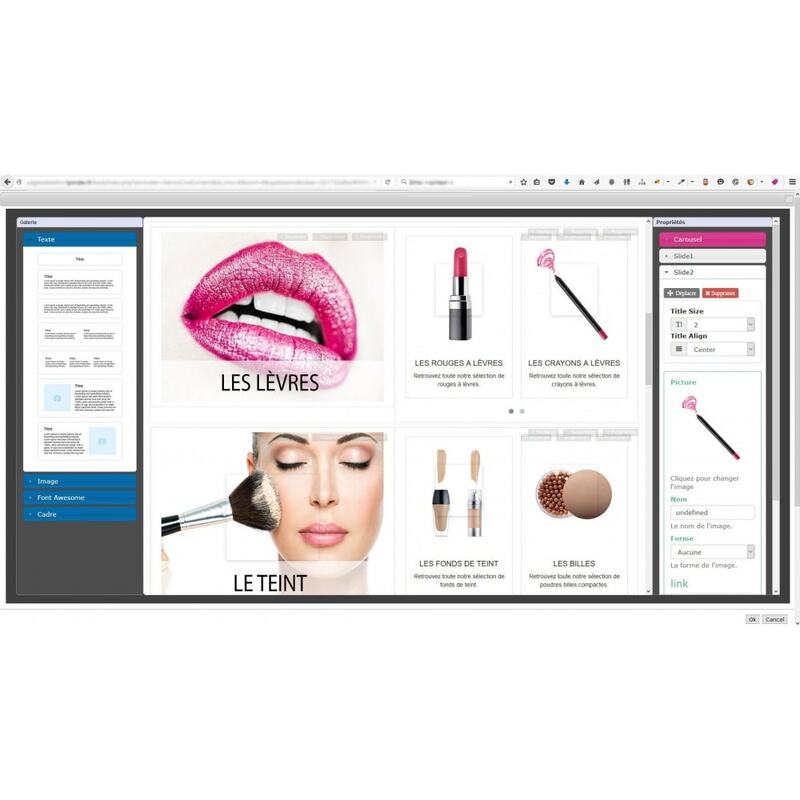 Create a customized and attractive layout for your customers and your product information sheets. 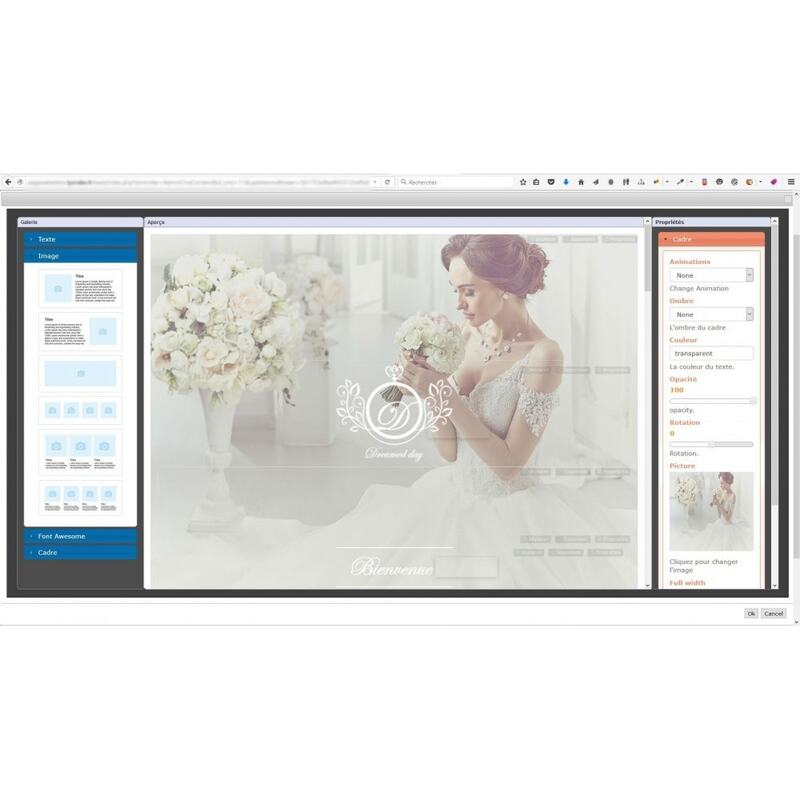 Directly imagine your page layout thanks to the predefined features. Use the intuitive system of "drag and drop" . No prerequired information technologies knowledge are needed for the usage of this module. Das vertrauenswürdigste Prestashop-Blogmodul, bester Traffic, beste Performance, benutzerfreundlich, reichhaltige Funktionen !Ein erweitertes Prestashop-Modul, das alle wesentlichen Funktionen eines Blogs auf Ihre Webseite bringt. 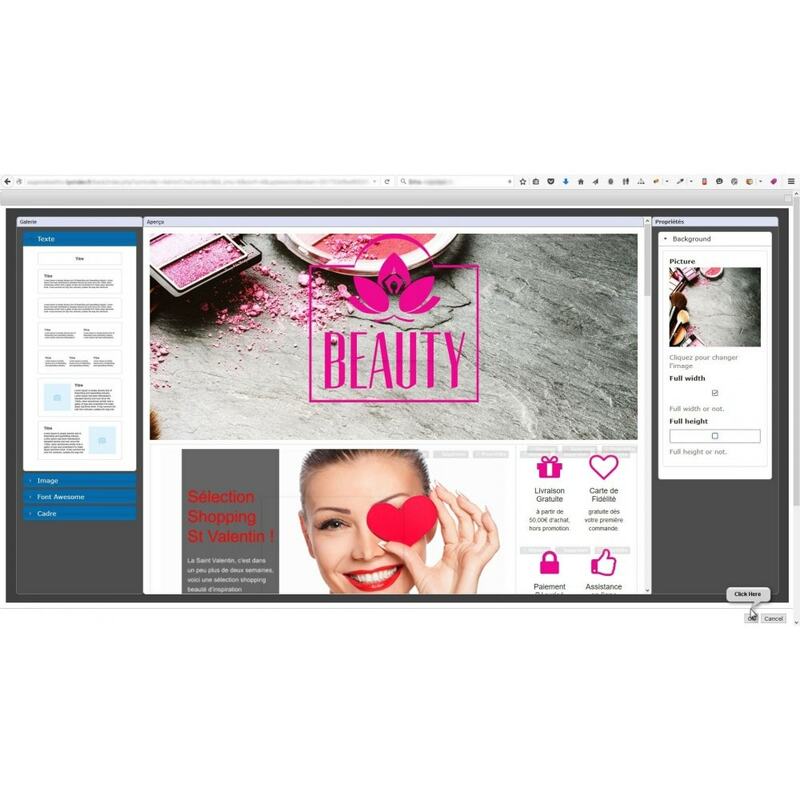 This module can meet some layout problems depending on your theme. A modern and functional design which favours an enjoyable and easy navigation. Easier research thanks to the organization and the development of your product information sheets. An improved navigation experience thanks to a clear website adapted to your clientele. Die LyoShowVATFree PrestaShop Modul ermöglicht Ihnen, den Preis der incl. btw Produkte mehr Preis inkl. anzuzeigen. 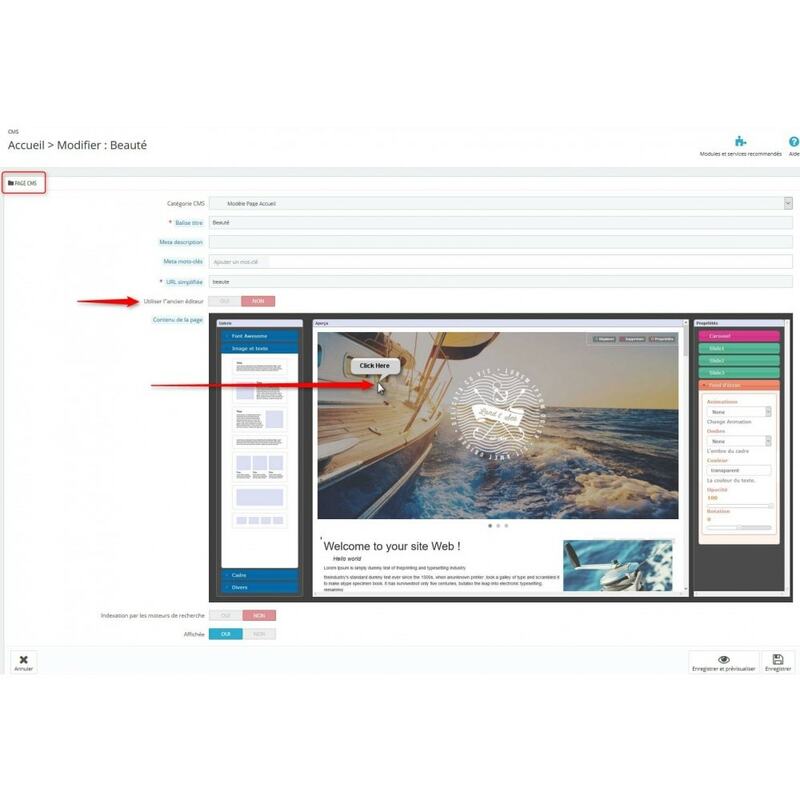 This module allows you to upload any type of files (pdf, docx, jpg, zip...) for your customers. You can classify them in categories, enter their names and descriptions.You can choose which Customer groups can see and download the files.